by Colin Dwyer NPR Nov. 8, 2018 5:28 p.m. 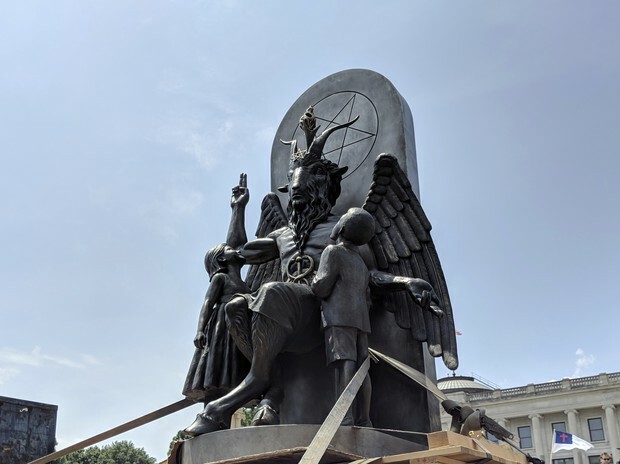 The Satanic Temple's statue of Baphomet, seen at a rally in Little Rock, Ark. The organization says a statue in Chilling Adventures of Sabrina bears too close a likeness to its own work.